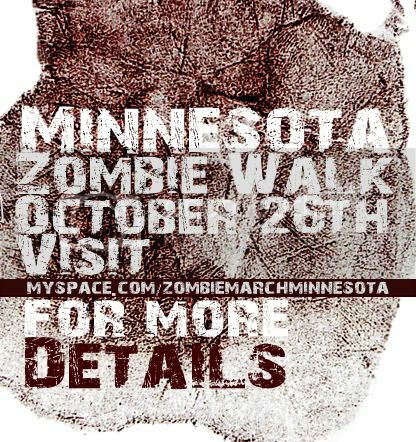 Minnesota, Zombie March Oct. 26th - Zombiewalk.com - Your source for all Zombie Walk and Zombie Flash Mob planning! The location and time will be posted after our meeting on tuesday. I also hope to continue with later events from that profile.